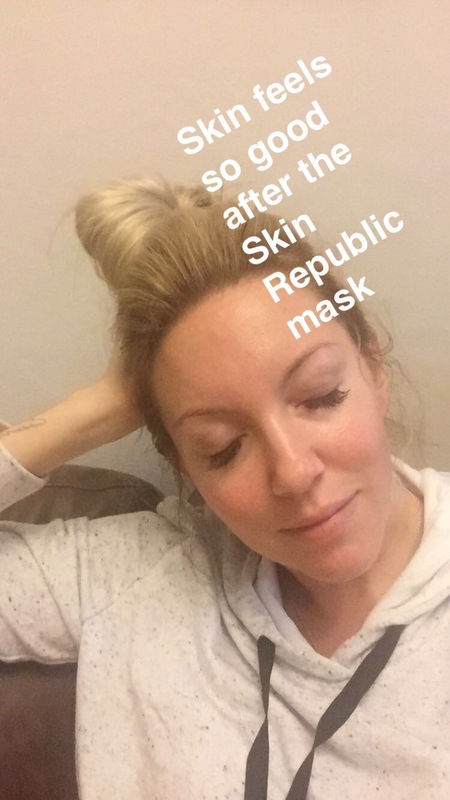 Celebrities everywhere have been raving about these Skin Republic skin sheet masks – I’ve seen them on Snapchat and on their Instagram accounts. 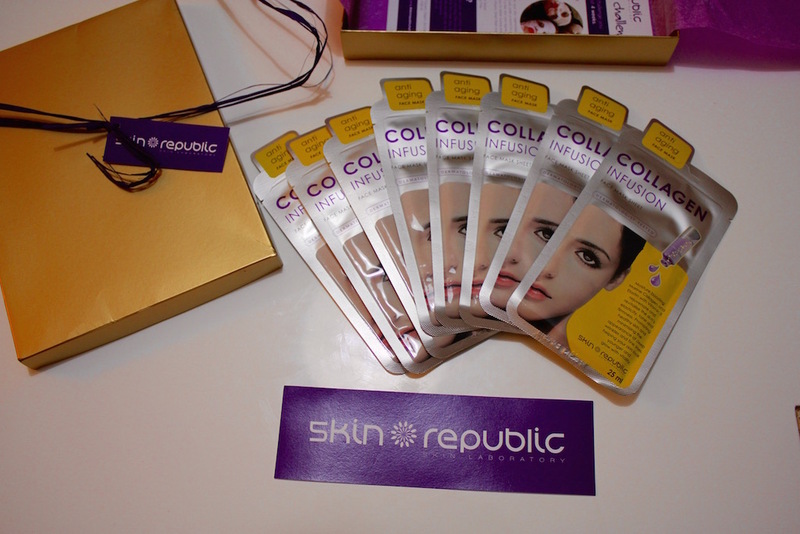 When Skin Republic sent me a months supply I was so excited. 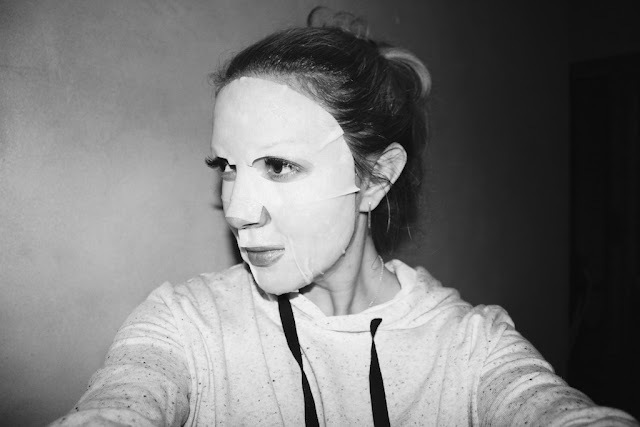 I’m thrilled they’re in South Africa – Skin Republic is available at Red Square, Edgars and Dischem and are really reasonable – you’re looking at around R36.99 for a mask. I’m far more aware of my skin routine than ever before and it is one of those classic: I should have listened to mom when I was younger, but I knew better! 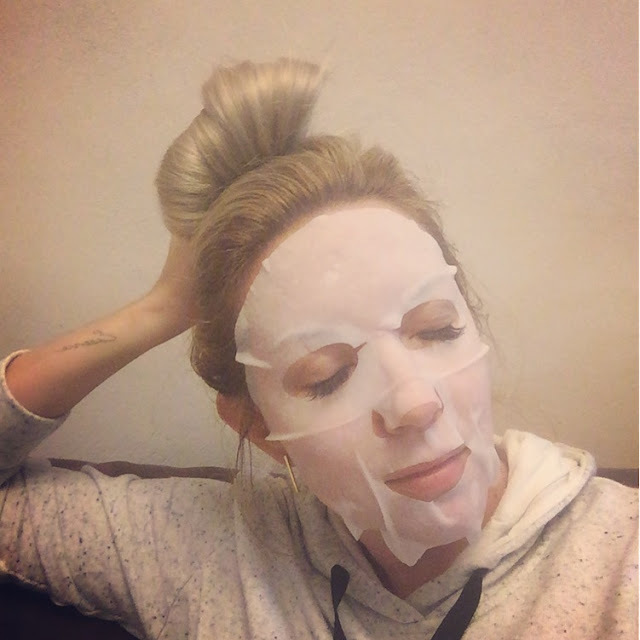 They sent me the Collagen Infusion face mask. Moisture boosting Collagen returns youthful plumpness to the skin. Elastin and Vitamin E rejuvenate and revitalise the skin’s elasticity, tone and firmness. Promoting healthy skin and minimising the appearance of deep wrinkles and fine lines, helping your skin look younger and glow with vitality. It’s so easy too and there is no mess or fuss. 1. 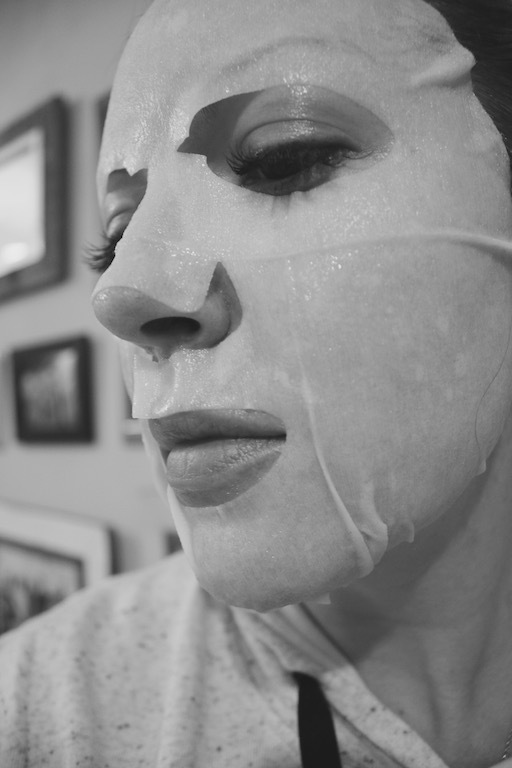 Open the foil package and pull out the serum covered, gooey face sheet. 2. Carefully unfold the sheet and be careful you don’t tear it. 3. Place it over your face, ensuring you have the eye, nose and mouth openings in place. It’s wonderfully refreshing on your skin. 4. Smooth it out and relax for 20 minutes. 5. Pull it off and pat in the excess serum. I even take some of the serum and put it on the backs of my hands, my neck and décolletage. If you follow me on Snapchat (BaileyVanilla), you’ll have seen some of the funny videos I’ve made… This is a pic I posted there. I definitely feel these work and my skin feels so good afterwards. I’ve noticed a boost in moisture and plumpness in my skin! www.theskinrepublic.com. Good news – you can also shop online!